Based on the strength of our competence, abilities, commitment, integrity and innovation we service and satisfy a broad client base throughout the UK and Ireland. 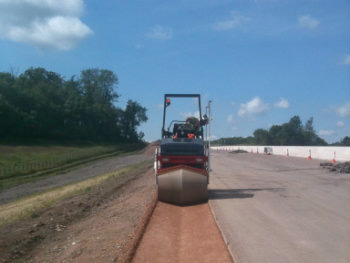 Working across highways, footpaths, cycleways, airfields, and racetracks, our Sidewinders® can perform a variety of services. Active in the industry for over 24 years and with over 30 years combined on site experience at your disposal, we can provide an efficient and viable method of working that can out-perform alternative, more traditional methods in the above scenarios. 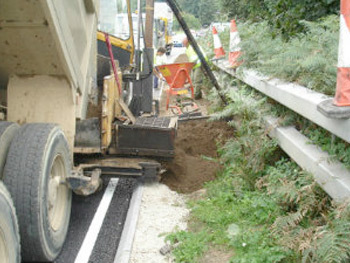 SidewinderUK.com’s services and solutions can be tailored to individual project needs. To talk through your specific requirements simply get in contact with SidewinderUK directly here. Two of the most prolific uses of our Sidewinders® over the years have been road widening and road haunch reconstruction. 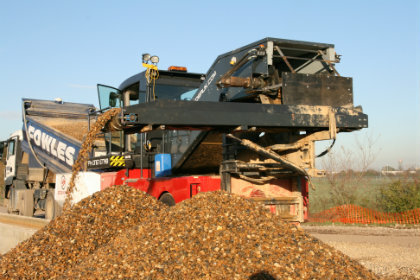 These operations have been carried out predominantly on A roads (including dual carriageways) down through the road categories to unclassified roads. 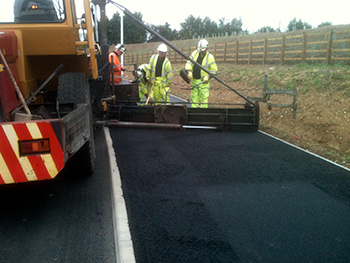 We have carried out many basic hardening schemes as well as lower level construction layers for the purposes of constructing crossovers, usually after completing the road base layers, it becomes feasible for the surfacing contractor to safely feed binder and surface course into a suitable paver. 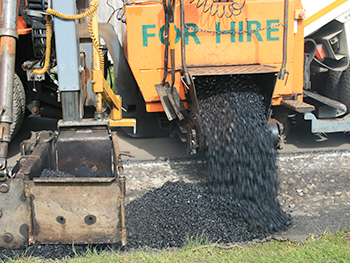 We are the leading specialists for the installation of asphalt V channel in the industry, providing a practical cost effective alternative to other forms of surface water drainage channel.Since the use of asphalt V channel began back in the early 1990’s, we have been the leading protagonist in the development and refining of the methodology for the construction and installation of asphalt V channel. 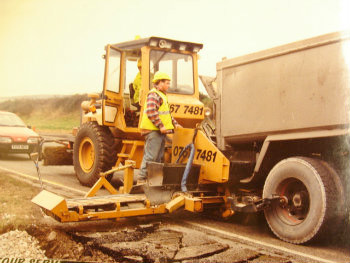 In 1989 our very first Sidewinder® (pictured first here) was built specifically to place type B drainage media to French drains adjacent to carriageways. Since then our Sidewinders® have worked the length and breadth of the country for most major main contractors and many sub-contractors alike. 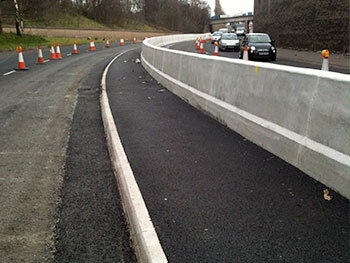 Using our Sidewinders® for top soiling verges was first introduced in 1995, when our company involvement in A and B road haunching as a main contractor left us with the labour intensive task of closing off the voids and making good the mess left behind. Historically the top soiling job has been one that no contractor has enjoyed and no client has wanted to pay for. The use of our Sidewinder® offset pavers for the construction of footpaths/cycle-ways has benefitted many contractors over the years. Through the principal Sidewinder® advantage of discharging material directly from the delivery truck to the paving area, use of our Sidewinders® negates the need for wheel-barrows/tractaire to feed a hand-lay crew. Getting to know your business and plans for the future means we can provide the best telephone system within a budget that is right for your business. The Sidewinder® Shuttle – the most recent addition to our services – was designed and produced in-house to provide a solution to numerous practical and logistical challenges on site. 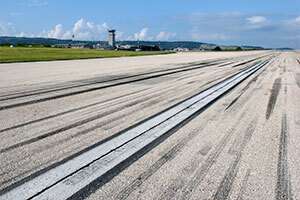 As with our Sidewinder® offset pavers the Shuttle can discharge various granular materials.